An educational event takes place this week to help those experiencing incontinence after a new survey conducted by YouGov, on behalf of Natracare revealed that many people feel too embarrassed to discuss incontinence with a health care professional, with only 11 per cent of women having spoken about urinary incontinence with a friend, and six per cent with a nurse. The survey also revealed a lack of knowledge around pelvic floor health; one third of people were unaware that light bladder leakage can be cured through pelvic floor training in the majority of cases. 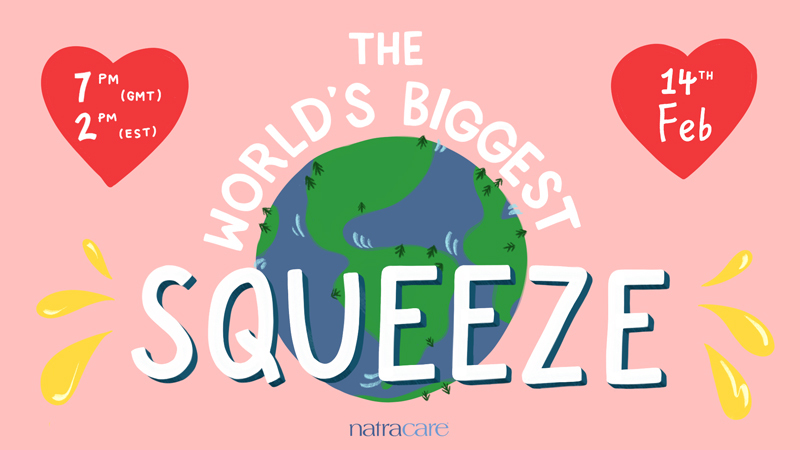 And so, in light of this, Natracare, the UK’s leading plastic free period brand has partnered with pelvic floor expert, physiotherapist and comedian, Elaine Miller, to host a live and record-breaking pelvic floor exercise class. The event will be held live on Facebook at 7pm on Valentine’s Day – this coming Thursday – so women can join in from the comfort of their own homes. The event, the World’s Biggest Squeeze, aims to encourage a sense of community and discussion around a taboo subject, whilst providing tips and advice on daily exercises and products. Elaine Miller, star of Gusset Grippers, advised: “The World’s Biggest Squeeze is a clever way to get women thinking about their pelvic floors. Most women know they have a pelvic floor and that they should be doing exercises, but they’re not confident about doing them properly and forget about them. Worse still, they wrongly think that leaking is normal – this is such a shame because physiotherapy works and women don’t need to put up with it. Shockingly, of the women surveyed who had experienced incontinence, 41 per cent had chosen to use period pads or liners instead of specialised incontinence products – and more than 24 per cent have never used any products to manage bladder leakage. Susie Hewson, founder and CEO of Natracare, added: “We have been campaigning and developing products that support women and protect the environment for over 30 years. This campaign is no different. We need to talk honestly and openly about incontinence. You can join the conversation online by searching #PeepleUnite or following @natracare.